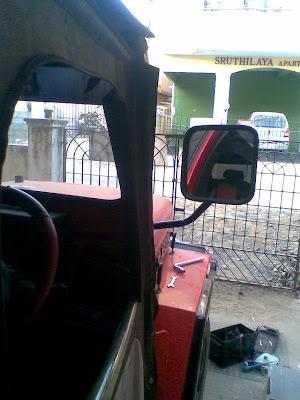 Do it yourself, just the installation part but the buzz is that after a term of one and half years waiting finally the Explorer is wearing close to its original spec side view mirrors with original Mahindra Classic like fittings from it's American Sibling Kaiser CJ5 Jeep. 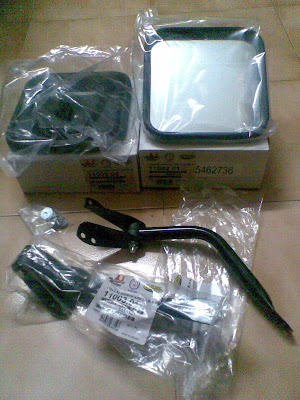 Yes, finally I have got a set of original CJ5 Jeep's original side view mirror set which fits like icing on cake. I have a small problem though as one of left hand side unit shipped (brought) to me had a wrong hole on the arm causing a minor issue in alignment. I can drill a 90 degree hole against the current set of holes in the arm to correct the problem. It will be done next week as now i'm on my way to Coimbatore. 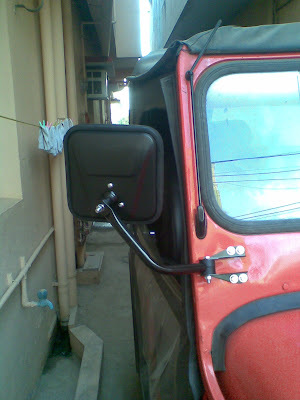 Just fixed the mirror in the Jeep and had a test drive to see if it works, man it gives me new view sight in the jeep which I was missing all along. Lucky god, a jeeper in velecherry. Super good. 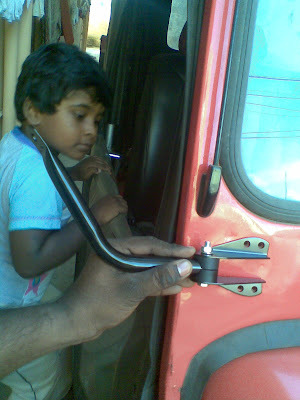 Hey Shiva, this is kumaran, from velecherry. Thanks for giving a detailed info about Classic.Very Helpful. I am just wondering how did i miss your seeing your jeep there. 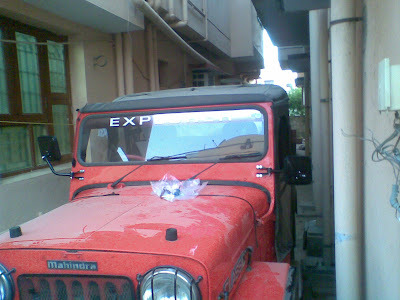 I have a deep interest for jeeps and off roading.I always dreamed to own a Cut Chasiss but always afraid of the problem it might give(read about your first jeep,and i get reminded about my fathers cj3b)Very recently I bought classic and its my first 4 wheeler. I'm planning to buy a mahindra Classic 4X4. Can you please tell me Since there are lot of variants that can be modified to look like a claasic, can you please tell me how can i identify an original classic. Can you please mail me the same. My email ID is SMILESAJI@GMAIL.COM. Nice blog Siva. I got all details about restoration but 1 thing missing.How about the cost? how much u spent for this all? Coz I need to start one.